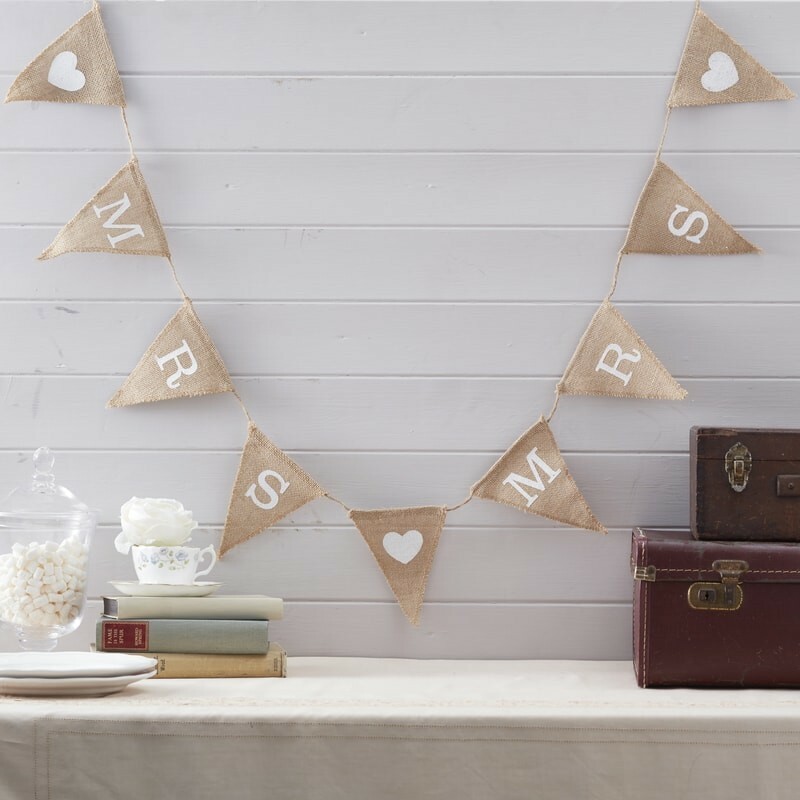 This gorgeous hessian Mrs & Mrs Bunting is the perfect decoration for your wedding day! The stunning vintage inspired design will look beautiful at all wedding venues and sure to be loved be all. The stunning bunting could be hung against a wall at the wedding reception or even behind the top table. Use with other hanging decorations within the Vintage Affair range to create your perfect Vintage wedding set-up. Bunting is 1.5m in length and has 7 flags measuring: 13cm (W) x 19cm (H).